1 102 2 168 3 497 4 786 = 19 x 58011412367094. 112260340 21123033045 311230320048540650 411230320048510640 = 19 x 590843895848581…. 21 602 403 1 14 305 306 57 2 18 309 20010 811 4012 5013 3 114 3015 20016 817 1018 1019 4 = 19 x 113696858496344…..
21 602 403 102 14 305 306 5766 18 309 20010 811 4012 5013 329 114 3015 20016 8 17 1018 4019 289 = 19 x 113696858432332…. Abdullah Arık deals with the mathematical structure of Basmalah in detail in his book, “Beyond Probability.” We are going to limit our discussion here, however, since too much detail may bore and confuse some people. The 19-based peculiarities of this verse consisting of 19 letters and 4 words are amazing. As we always remember the mercy of God when we say “Bismillahirrahmanirraheem” (in the name of God, Gracious, Merciful), we can remember that God shows His incredible miracles and He displays His mercy. The Basmalah, which shines brightly with its 19 letters on every sura, is a significant part of the code 19 protecting the Quran. this is a wonderful site. it has all the information that i needed on Islam and science. May Allah bless you all. Absolutely Quran and Science have relatively perfect coincidence in nature. Amazing the reality is from the Almighty creator of all things “Allah”. may Allah bless u all to give us all an accurate inaormftion about Islamic research which will never end till the doom day still not have found much as it becomes much complexed as any body gets nearer & Nearer. I like this site,cos its help me know much about Islam and science.May Allah bless us. may Allah bless u all to give us all an accurate information about Islamic research which will never end till the doom day still not have found much as it becomes much complexed as any body gets nearer & Nearer. bestest way to aware people and to know about Quran and Islam…… Inshaallah Allah tala will add more to your knowledge…. 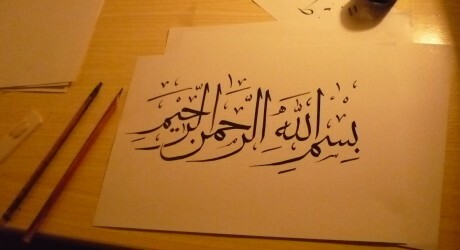 Soubanallah, there is nothing that can be compared to Allah. Quran is the name of Truth. Every one should search and follow the Truth either he/she is muslim or belongs to other religion. Keep it up…..Allah almighty will reward you people (surely).